New McCormick X8 tractor now available for ordering. 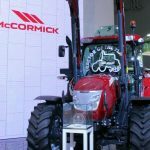 Having previewed the new McCormick X8 VT-Drive tractor at the LAMMA show in January 2017, we are now able to take orders of McCormick’s most powerful tractor ever built. With up to 310hp for all applications, a proven heavy-duty stepless transmission, one of the nicest cabs in the business and traction to handle the biggest implements, the new X8 VT-Drive is an exciting addition to the McCormick range. 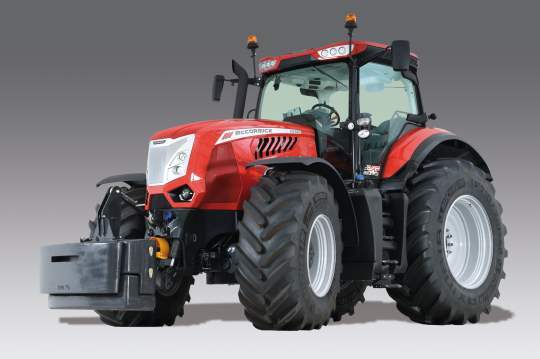 This brand new model is the flagship tractor of the all new McCormick tractor range and is available in three models. The X8.660 VT-Drive offering 264hp, the X8.670 VT-Drive at 285hp and the X8.680 VT-Drive at 310hp. These powerful all-new tractors combines true power with comfort and style and have been specially designed to meet tomorrow’s challenges,. The X8 series offers the operator a variety of high-grade features such as automotive-style hood and fenders, a fully redesigned ‘Premiere’ Cab with ergonomically-arranged, easy-to-use controls for the four-stage VT-Drive transmission, a bright DSM touchscreen monitor, a high-performance hydraulic system with up to 212 l/min flow rate and up to ten electro-hydraulic remote valves, and powerful Betapower Fuel Efficiency engines capable of delivering up to 310 hp for the X8.680 model. 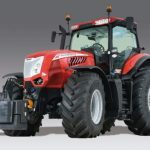 And remember the McCormick tractor product range also benefits from having DATATAG fitted as standard meaning with each new McCormick tractor you can now enjoy lower insurance premiums and your machines are less likely to be stolen. Several construction and plant hire equipment manufacturers already protect their machines through the scheme; but AgriArgo UK become the first farm equipment supplier to do so. For more information on the all new McCormick X8 tractor now available to order, contact our sales team on 01691 610177 or visit the X8 tractor on the McCormick UK website. The all new McCormick X8 Tractor with 3 models from 265hp to 310hp.